Toronto real estate is slated for another boom. Thanks to the city’s thriving technology sector, Ron Sally believes real estate—and condos in particular—are going to be the hottest commodity in town. Sally added that Toronto’s financial sector is ranked third in North America. Toronto is presently rated an Alpha city, and joining Singapore and Tokyo as Alpha+ cities isn’t unfathomable. 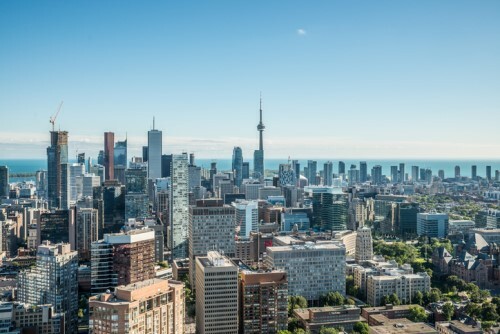 Indeed, Microsoft, Uber, Shopify, Airbnb and Google Sidewalk Labs are all setting up shop in Canada’s largest city and economic heartbeat. Coupled with the fact that new tech sector jobs will be created in the years ahead, and the fact that supply already lags well behind demand, Toronto condo valuations are on pace to surge. According to Matt Smith, a broker with Engel & Völkers in Yorkville who specializes in the luxury market, the city’s thriving tech sector has been fuelling demand for high-end homes.